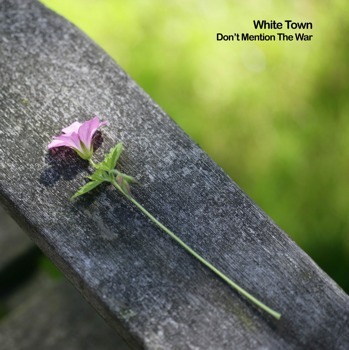 White Town – New Album! 12. Sabrina, Won’t You Help Us Out? There you go, twelve songs about love, lust, war, peace and teenage witches. I’ll be putting up clips of the songs soon so you can have a preview. This album is about as DIY as you can get: I wrote the songs, performed every part (no guest musicians this time), recorded and produced it, mastered it (not fun! ), took the pics for the graphics, did all the graphics and now I’m sticking it out on my own label. Yep, ‘Don’t Mention The War’ will be Bzangy Records first release. The album was meant to come out on Ninthwave Records but they’ve sadly had to shut down for the forseeable future. My thanks to Dave for putting out my music and generally being very supportive and involved for the last few years. It’s a tough job running an indie label – I know as Bzangy Records will be my third! As I’m sitting typing this, I’ve got one of the 1000 pressed albums sitting to my right. It looks brilliant! I’m soooo excited to be releasing this record. Of course, every artist thinks their new record is the best yet and I’m no different. But I can honestly say, some of the best songs I’ve ever written are encoded on this small piece of shiny plastic. From my heart, straight to yours!